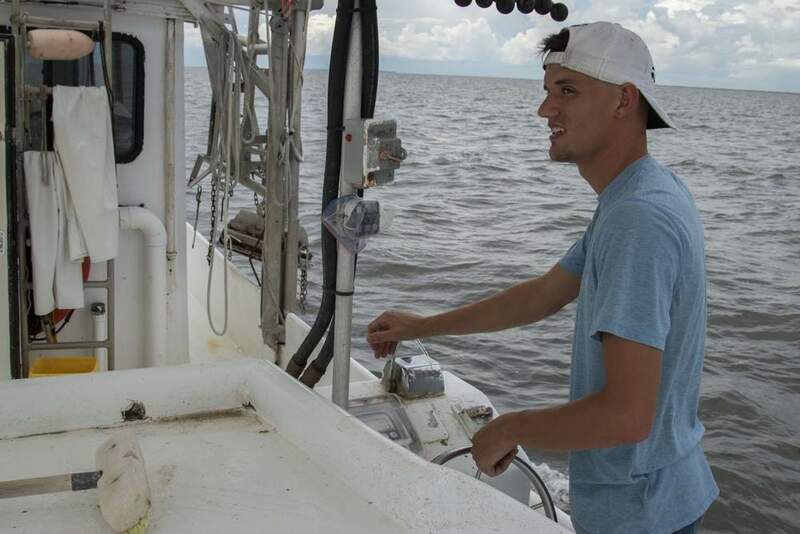 Heavy rains that have left the state drought-free for the first time in a decade have also created the first detected extensive "dead zone" in the Gulf of Mexico off the Texas coast, a Texas A&M University researcher said today. Steve DiMarco, a professor of oceanography, said fresh water runoff from the flooded Brazos River flowing into the Gulf off Freeport has left an area 70 miles by 25 miles hypoxic, or oxygen-depleted. The "dead zone" threatens sea life about 30 to 35 miles offshore. 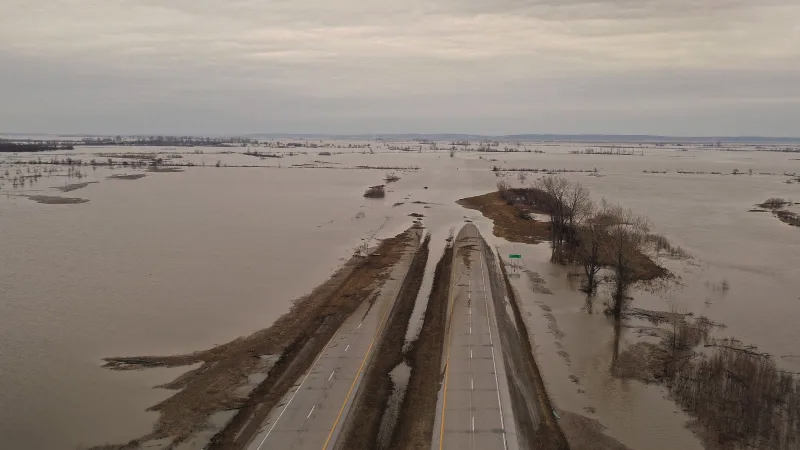 The phenomenon has been more identified with the Mississippi River’s runoff into the Gulf off Louisiana, where DiMarco said it occurs every fall. but for me this is the first conclusive evidence this is a locally occurring phenomenon because of flooding off the Brazos River," said DiMarco, who’s been studying the Gulf since 1993. 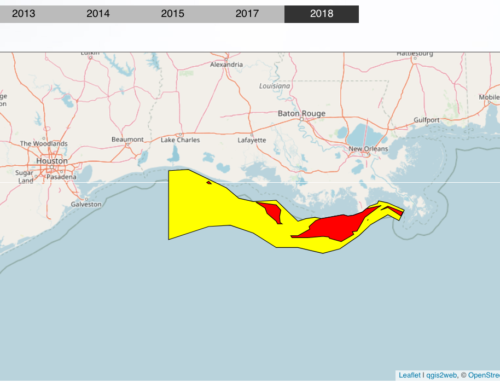 The Texas dead zone, encompassing an estimated 1,750 square miles, is about one-fourth the size of this year’s Louisiana zone. The Brazos is the largest river in Texas between the Red River on the state’s northern border and the Rio Grande at the south. 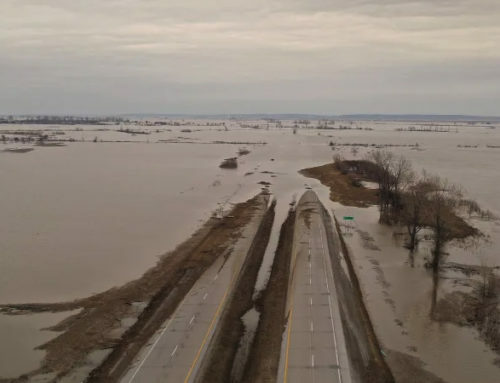 It flows more than 900 miles through most of the main regions of the state, many of those areas inundated by more than a month of heavy rains. 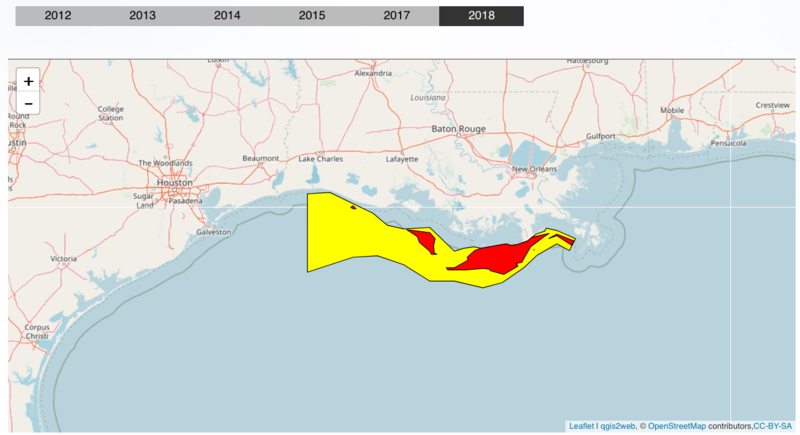 The dead zone is strongest at the river delta off Freeport and San Luis Pass, just west of Galveston, then extends down the coast and dissipates at Matagorda Bay. There’s little at the surface to indicate the increased presence of fresh-water runoff in the salt-water Gulf, because the oxygen problems are occurring within about six feet of the sea floor. "There’s fresh water sitting at the surface and salty water beneath that because they’re of different density," DiMarco said. "It’s just like oil and water. They don’t mix very well." Organic material decaying at the bottom uses oxygen, but because fresh water at the surface is capping oxygen, the lower layer becomes hypoxic. "This can definitely have an effect on organisms living there — fish and shrimp, crabs, clams," he said. "All these things need oxygen in order to live. If you have this phenomenon occurring, depending on the severity and how long it lasts, you can have mass mortality. 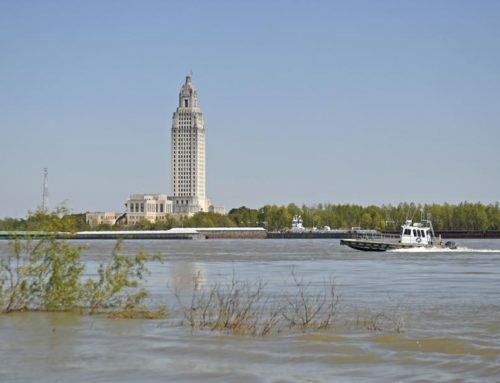 And if it happens in large estuaries, you can have really mass mortality." Some sealife can swim away. 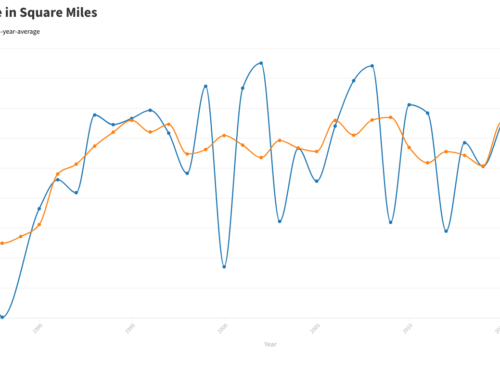 Others aren’t as mobile. "If they’re a clam, they have to sit and take it," DiMarco said. "They can’t crawl away. But it could affect the juveniles of some of these other critters that can just swim away." The duration of the dead zone depends on currents and winds. "The storms come through and the wind mixes up the ocean and breaks down this capping of the fresh water," he said. In Texas in the summer, offshore winds are fairly calm. "There’s no wind aside from the occasional hurricane, and that tends to enhance this and keeps the system stratified," DiMarco said. 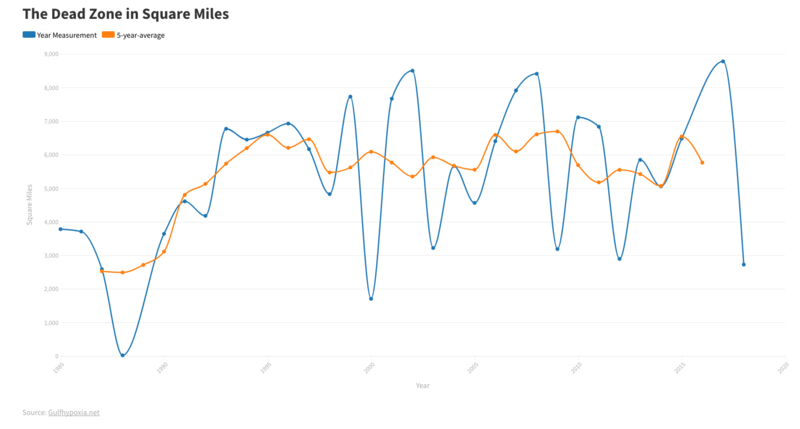 The oceanographer based his findings on data collected recently by researchers aboard a ship from the National Oceanic and Atmospheric Administration National Marine Fisheries Service. He hopes to visit the area himself soon. "NOAA is very concerned about this," he said. 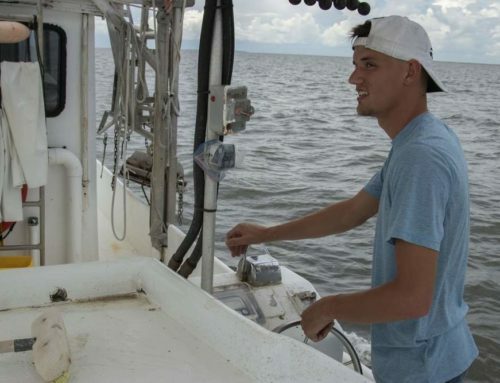 "They think this is a very significant find because it’s really demonstrating this occurs in the northern Gulf of Mexico and is completely independent of what’s going on in Louisiana."